ENNIS Circuit Criminal Court has heard details of a catalogue of injuries sustained by a five-month-old baby at the hands of her mother. Judge Gerald Keys heard that the baby had multiple fractures, including a fractured arm and skull and healing fractures to areas on both her legs, when presented to hospital in 2015. A 22-year-old woman has pleaded guilty to the willful assault and neglect of her daughter. Garda Hilda Moloney outlined that on February 13, 2015, the baby’s mother attended a Clare GP with her daughter “in a distressed state”. She said the baby was not moving her left arm and “something must be wrong”. The GP carried out an examination and, along with the lack of movement, he noted bruising on the left elbow and some swelling. He also found fading bruising along the arm, suggesting older injuries and noted that the baby had signs that the underside of her tongue was torn. Further to this, there was bruising to the right cheek. The GP referred the baby to University Hospital Limerick. On the basis of the injuries, a garda investigation commenced and social workers were brought in and an interim care order was made in relation to the child. She now resides with her father, who, the court heard, is also facing trial on a charge of willfully allowing the assault and neglect of the child. Garda Moloney said the mother attended her GP on another date and was diagnosed with postnatal depression. The mother, she said, does have supervised access to her daughter. The mother gave varying accounts of how the injuries were sustained. The garda outlined, in relation to a circular bruise to the right side of the baby’s face, that the mother said she had sucked on her child’s cheek strongly, causing a bruise. The explanation given to the fracture to the left humerus was that the child fell out of a bouncer, hitting her head off a wall, and there might have been rough handling of the baby putting on her christening gown. She also gave this explanation to a complex right-sided skull fracture. She said of a fracture of the left tibia and a healing fracture of the right femur that there was heavy drinking and that an argument followed between her and her partner who, on one occasion, was holding the baby. She told gardaí the child “had been violently pushed against a couch”. An alternative explanation was that a pram had rolled down the street, turned over and that the child had fallen out and hit the ground. She admitted forcibly placing a soother or bottle into the child’s mouth, as an explanation to the tear to her daughter’s tongue. Under cross-examination by defence Counsel Pat Whyms, BL, the court heard the child had met all her developmental appointments and that the doctor noted nothing out of the ordinary and that the public health nurse recorded that the mother’s conduct “was entirely appropriate and there was nothing causing her alarm” after five home visits. Mr Whyms highlighted that the accused became a mother at 19 and was “not a person who would have been selected as a suitable candidate to be starting a family at that age”. He said statements made by family members show “they thought this was a very happy baby, smiling and laughing all the time”. He said there is reference to concerns of rough treatment of the baby, including that the baby was being forced into a high chair and a description of the baby being caught roughly and pulled by a leg during a nappy change. “Other than the rough treatment, there isn’t direct evidence of anyone saying they saw someone assault this child in a gratuitous way,” he said. Mr Whyms said the mother had difficulties from her early teens, surrounding the abuse of alcohol and substances. 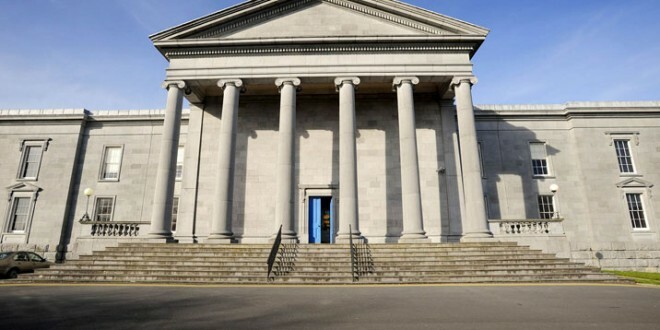 Dr Barry Linnane, with the paediatric department of University Hospital Limerick, gave evidence of examining the baby and said the injuries recorded “happened at different times”. He said the mother’s explanation of sucking on the child’s cheek was “unlikely” and an account of the baby lying on a bottle top was also “not compatible with the bruise”. He said, “It was difficult to understand how catching a falling child would have generated the force to fracture the arm” and stated that he felt the same about the explanation of roughly putting on a christening gown. “It would require some force to fracture a bone, even in a small child,” he said. Dr Linnane said, if something had been inserted forcibly into the infant’s mouth, it could cause the tear, adding that “a bottle or a soother could do that, if done in a forceful way”. He discounted the account of a fall from a pram to explain the fractures to the legs, as he said, “If it did happen, you would expect there to be cuts and bruises but not two fractures, which seemed to be of different age.” He also discounted the explanation of an altercation. He said the skull fracture could not have occurred from a fall from a bouncer, which “would require significant force. If a child was dropped onto a hard floor, that is possible.” He said rough nappy-changing would not explain the leg fractures. “Even if there was more robust handling, it would be difficult to explain the fractures to the lower limbs,” he said. Mr Whyms asked the court to consider preparing a probation report, before finalising matters. Judge Gerald Keys acceded to this request and the case was adjourned to September.